In 1978, the U.S. banned lead-based paints for use in housing. Although nearly all houses built before 1978 are likely to contain some lead-based paint, placing infants and young children at risk. Two years ago 2,000 children in Connecticut were determined to have lead poisoning. This year, my colleagues and I passed legislation designating $7 million for residential lead abatement and $3 million to help eliminate environmental hazards such as mold, allergens, carbon monoxide and radon. It is the deterioration of lead-based paint that can cause serious health problems. Lead exposure can affect nearly every system in the body, and while particularly dangerous to infants and young children, adults can also be at risk. 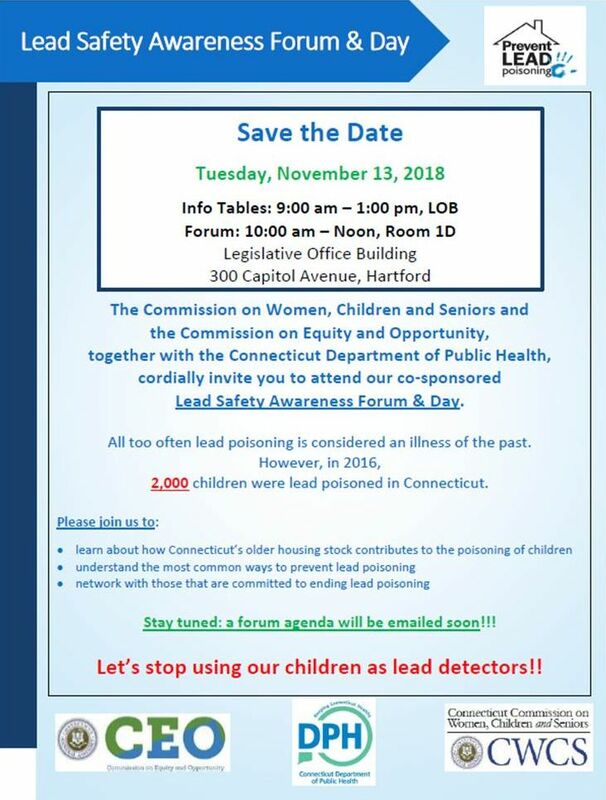 Tuesday, November 13 is Lead Safety Awareness Day at the Legislative Office Building. You can find more information about this event here.